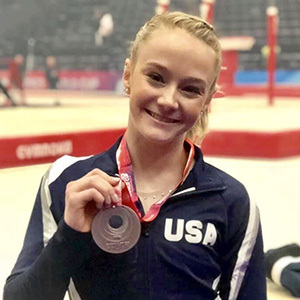 BIRMINGHAM, Great Britain, March 23, 2019 – Riley McCusker of Brielle, N.J./MG Elite, won the all-around silver medal at the 2019 World Cup in Birmingham, Great Britain, the third of four World Cups in the International Gymnastics Federation’s all-around World Cup Series. Allan Bower of Chandler, Ariz./University of Oklahoma, was sixth in the men’s all-around. 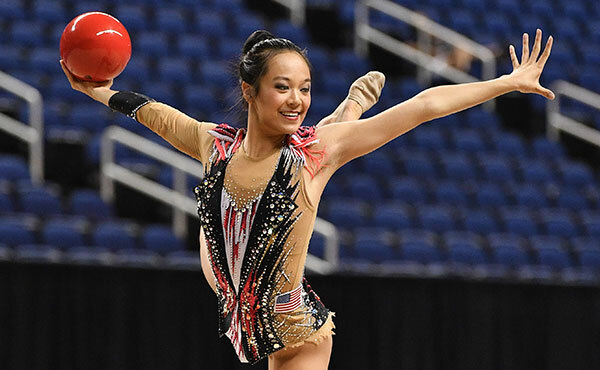 U.S. fans can watch the action from Birmingham’s Genting Arena on the Olympic Channel telecast, with the women’s all-around at 8 p.m. 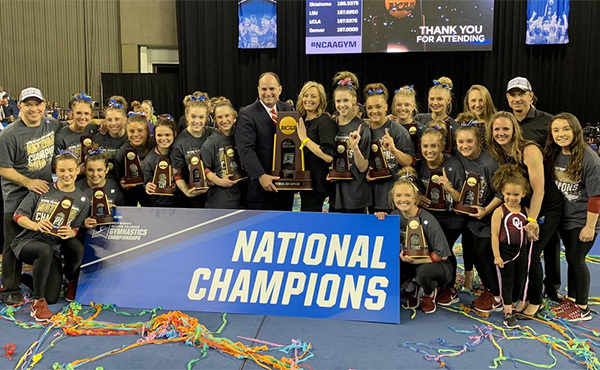 ET and a simulcast, and the men’s all-around telecast on March 24 at 7:30 p.m. ET and a simulcast. Russia’s Aliya Mustafina won the gold medal with her 53.564 total. McCusker was on Mustafina’s heels at 53.065. Brazil’s Thais Fidelis claimed the bronze, 51.832. 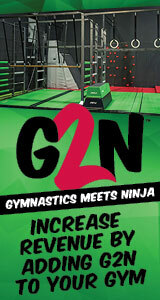 McCusker had the top scores for the uneven bars (14.400) and floor exercise (13.366). Her other two event scores were vault, 13.133, and balance beam, 12.166. 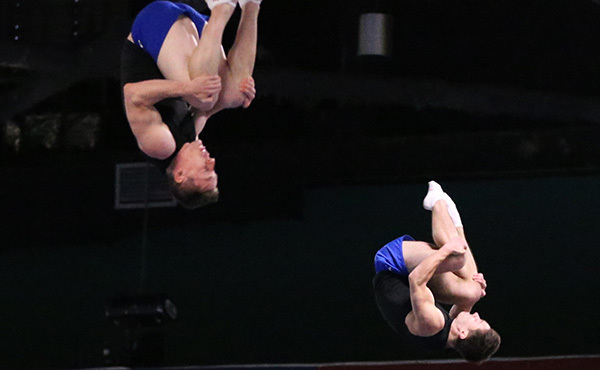 In the men’s all-around, Bower’s 80.898 yielded a sixth-place finish. 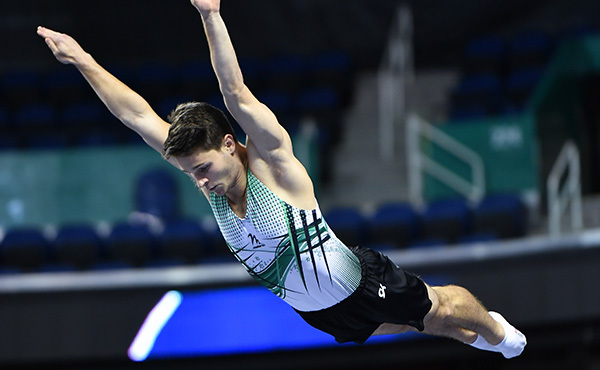 Russia’s Nikita Nagornyy won the title at 85.065, slipping by China’s Sun Wei at 84.730. Japan’s Kazuma Kaya was third at 83.731. 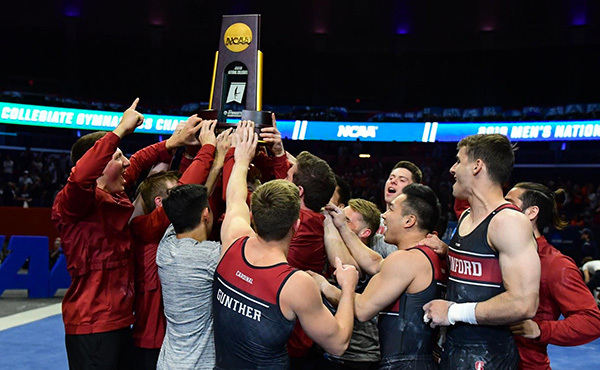 Bower had the second highest pommel horse score, and his event marks were: floor exercise, 13.666; pommel horse, 14.200; still rings, 12.500; vault, 14.066; parallel bars, 13.200; and horizontal bar, 13.266.